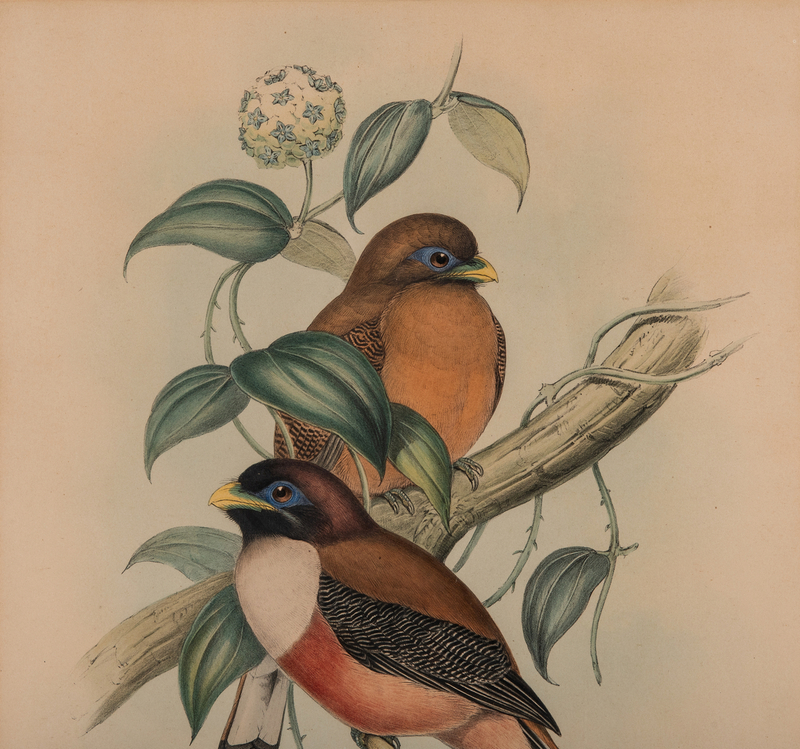 Two (2) John Gould (British, 1804-1881) and H.C. Richter (British, 1821-1902) colored lithographs of Southeast Asian birds. 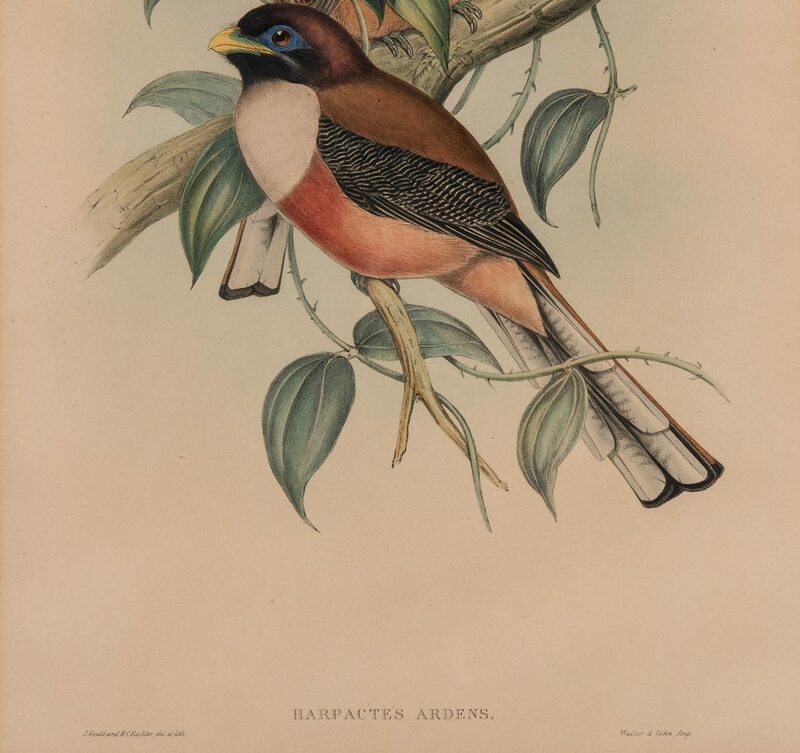 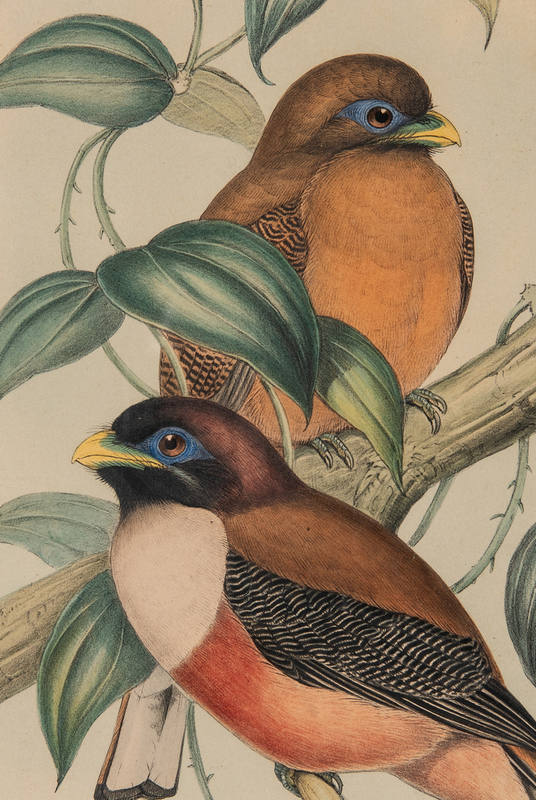 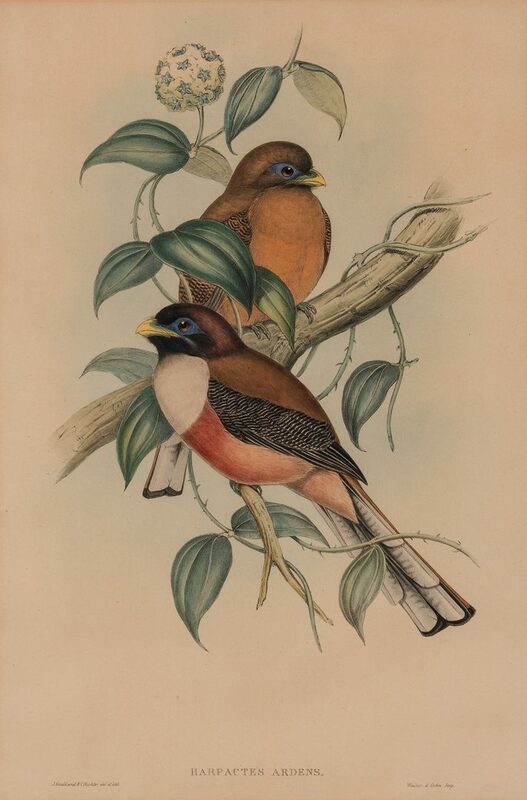 1st item: HARPACTES ARDENS, also known as Philippine Trogon, depicting large male and female perched on branch. 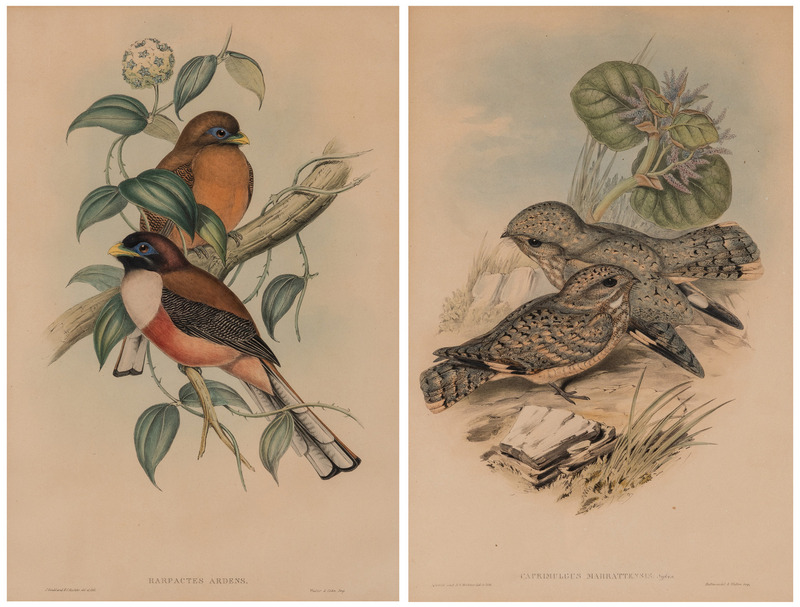 Printed by Walter & Cohn. 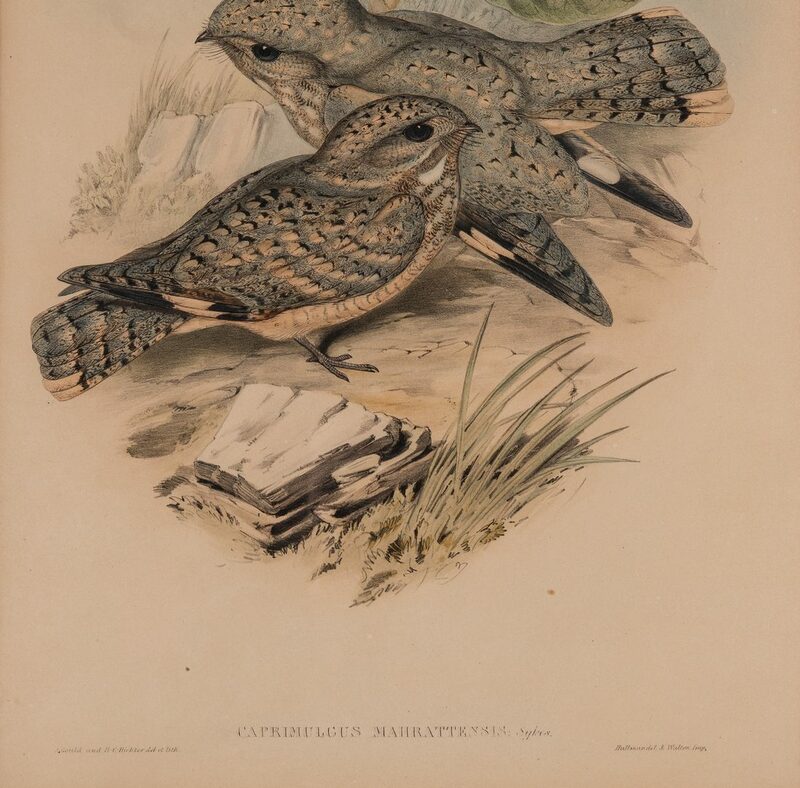 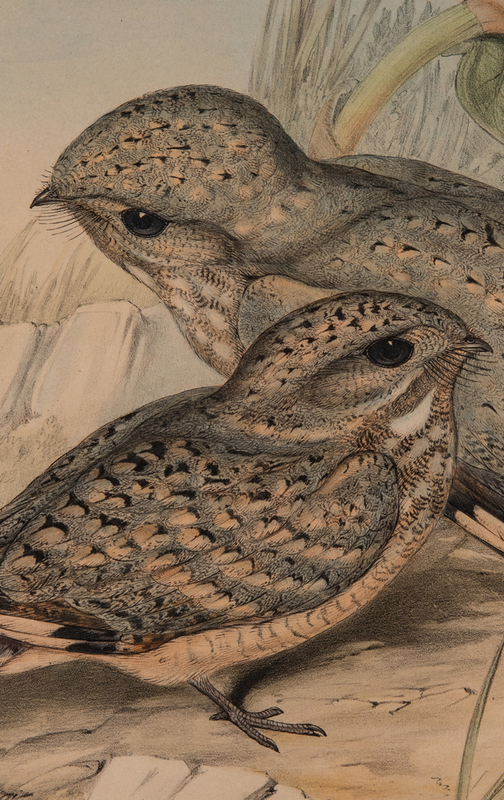 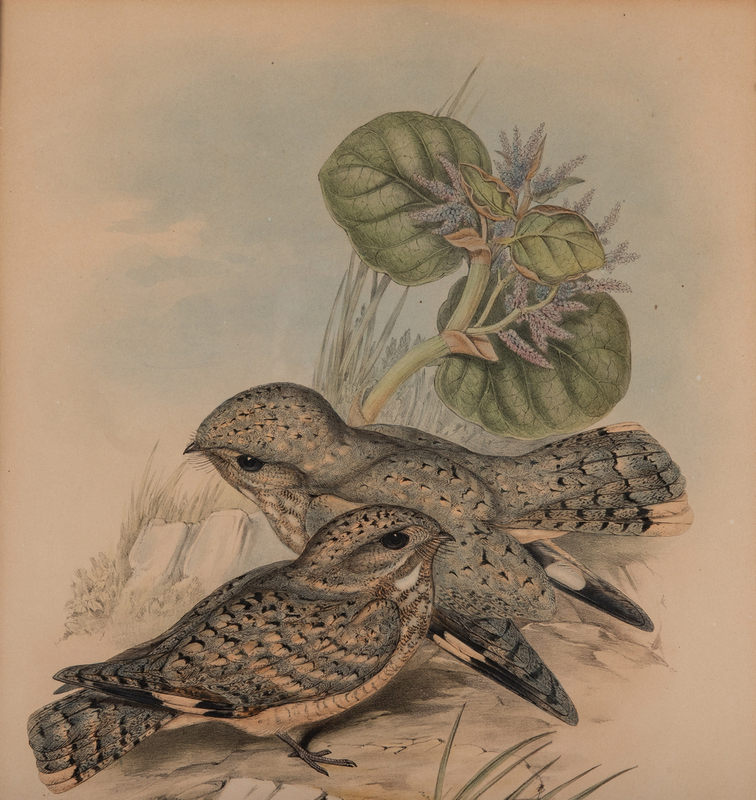 2nd item: CAPRIMULGUS MAHRATTENSIS: SYKES, also known as Syke's Nightjar or the Sindh Nightjar, depicting male and female on ground. 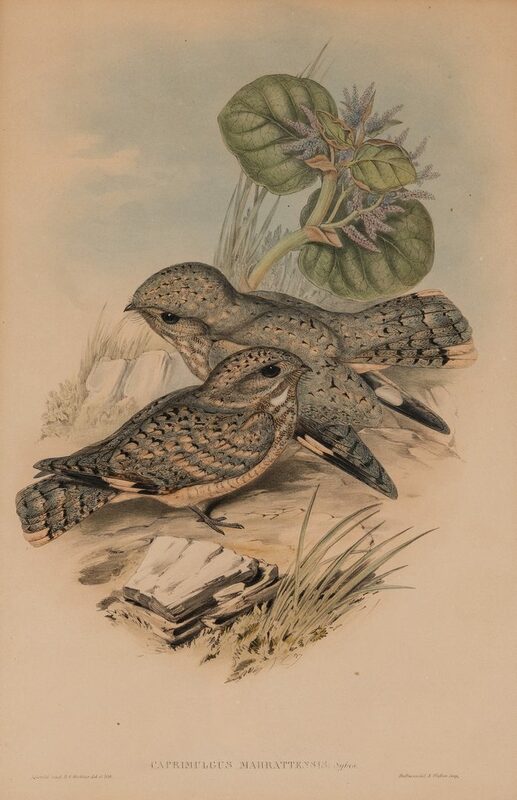 Printed by Hultmandel & Walton. 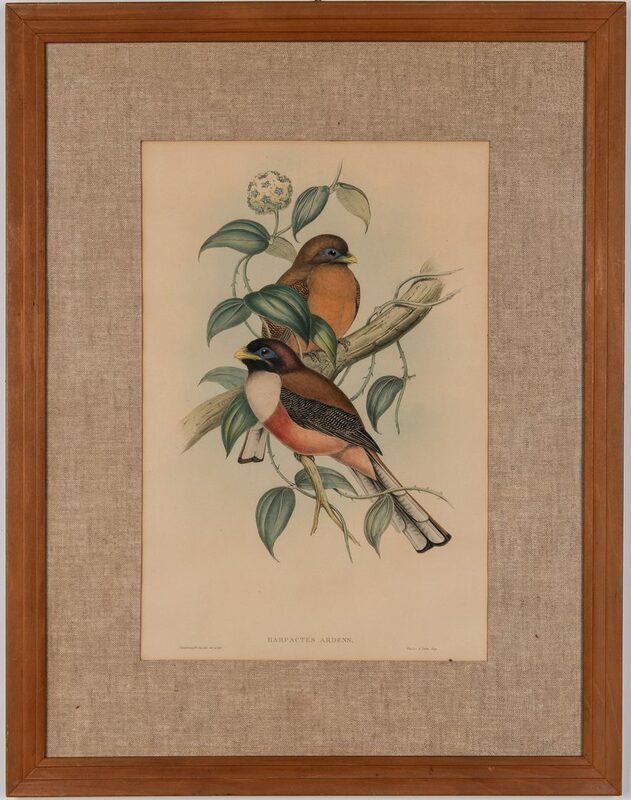 Both framed in clear varnished wood and light green frames, slightly different. 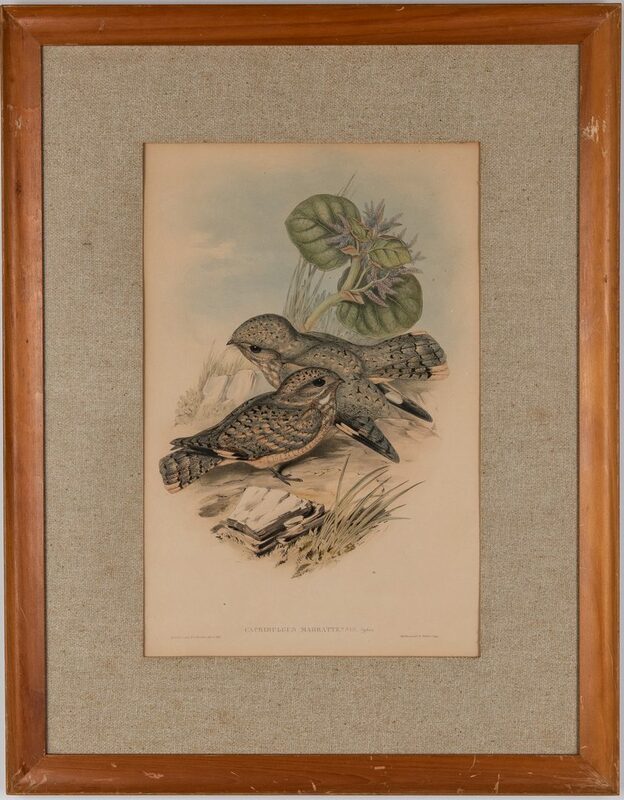 Sight – 20 1/4" H x 13 1/2" W. Framed – 31" H x 24" W. English, 19th century. 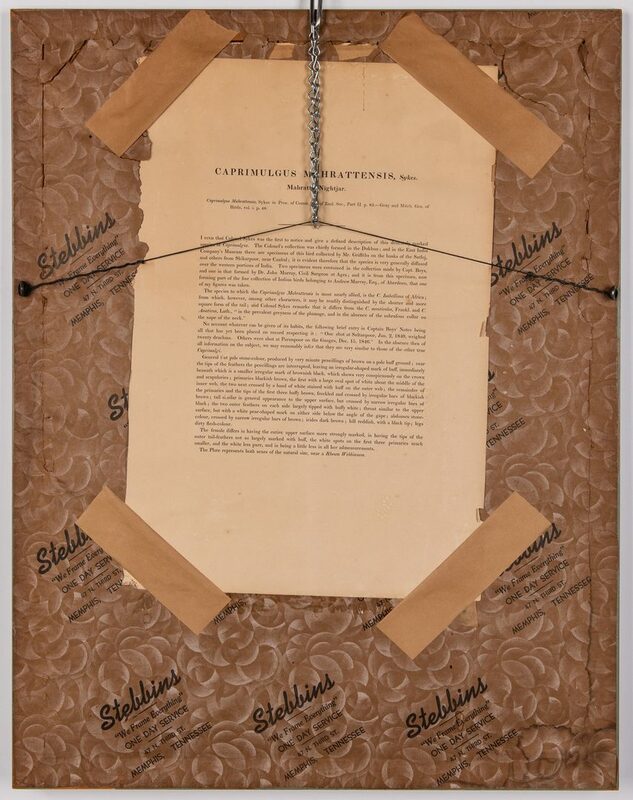 CONDITION: Toning to paper. Debris under glass. 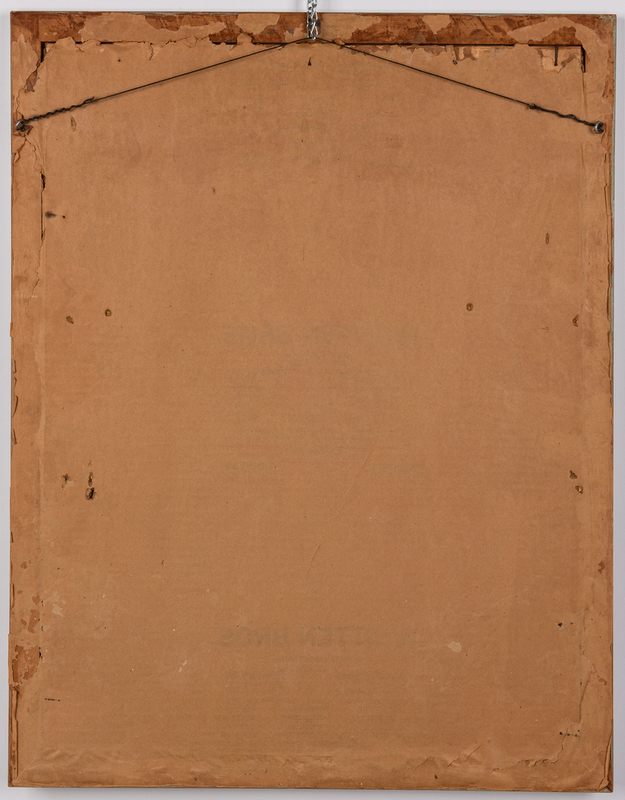 Sheets slightly wrinkled.